Prospective accountants in Kansas are spoiled for choice, with over 40 colleges and universities offering certificates, associate degrees, Bachelor’s and Master’s degrees in accounting. Top quality accounting programs are offered by highly ranked schools such as the University of Kansas and Kansas State University. Both of these institutions were listed in the Public Accounting Report’s 2013 survey of accounting professors: the University of Kansas was ranked 13th among small-size institutions at the undergraduate level, while Kansas State University made the 25th place among medium-sized institutions. Both universities are ranked by U.S. News among the 200 best in the country, while five other Kansas accounting schools are listed among the 100 best in the Midwest. The quality of the accounting program you pursue can have a strong impact on your career. Your accounting school can determine what you know, how much you know and whom you know – so the decision you are making right now is one of the most important you’ll face in your career. Strive for quality and challenge rather than an easy degree when choosing your accounting program. To assess a school’s quality, you can take a look at the curriculum, faculty credentials, national rankings and previous students’ evaluations. 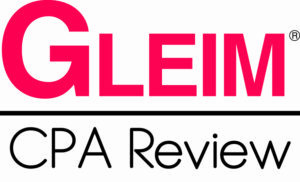 Excellent programs will also boast good CPA exam pass rates and graduate placement rates; make sure you ask for the most recent figures to get the full picture of the school’s effectiveness. Moreover, make sure you won’t have to wait until you graduate to start your career. Experience gained through internships, volunteering and extra-curricular activities is extremely valuable when looking for your first job, so make sure you’ll get plenty of hands-on learning opportunities on campus. Accounting is not easy, so find the best program to boost your confidence when entering the business community. The accounting profession has changed in recent years: rather than just dealing with numbers, today’s accountants often become CEOs of major companies or get involved in business decision-making. The need for qualified and innovative accountants is stringent and the rewards are plentiful in this profession – but this doesn’t mean that becoming an accountant is easy. You can enter the accounting field with a four-year degree, but if you wish to obtain a certification such as a CPA (Certified Public Accountant) license, you will need to complete additional coursework. The minimum requirement for CPAs is 150 hours of college education and it is more and more common to earn them as part of a higher degree over five years of study. 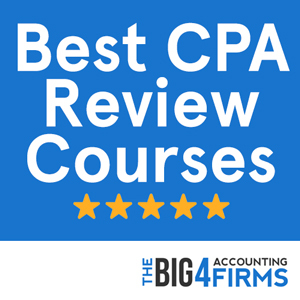 Once you’ve met this requirement, you will have to pass all four sections of the challenging CPA examination and to acquire one or two years of accounting experience before you can work as a CPA. Moreover, most states require candidates to pass an ethics examination before submitting their application. The Kansas accountancy board requires CPA candidates to complete at least 150 semester hours of college education with an accounting concentration before sitting for the CPA exam. These must include 42 hours in business and general education, 11 hours in written and oral communication, and 30 hours in accounting theory and practice. CPA exam candidates also have to be residents of Kansas or employed within the state. Once you have passed the CPA examination as well as the AICPA Ethics course, you will be awarded a CPA certificate. However, in order to work as a CPA in Kansas, you will need to complete one year of accounting experience in industry, public practice or academia verified by an active CPA. Kansas is an average state in terms of accounting salaries, employment level and location quotient. In 2013, the mean annual salary for accountants and auditors in Kansas was $65,340, close to the national average. It is important to note, however, that areas such as Wichita and Kansas City report the highest accounting salaries, while accountants around Topeka and Manhattan earn between $53,000 and $56,000 on average. Accounting pay levels tend to differ significantly not only regionally, but also between professionals depending on experience, skills, certifications and job type. In Kansas, the lowest paid 10% of accountants earn a mean salary of $35,750, while the highest paid percentile earns $100,860 on average. It is thus up to you as an accounting graduate to seize the best opportunity and embark on the career of your dreams. The AACSB-accredited accounting program at Kansas State University offers an Accounting Bridge Program for high school students, a Bachelor of Science in Accounting and a Master of Accountancy. 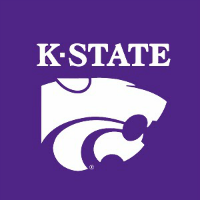 Ranked 135th in the country by U.S. News, Kansas State University boasts an accounting graduate placement rate of 90%. While the Bachelor of Science in Accounting offers a broad curriculum comprising general education courses alongside business, economics and accounting courses, the Master of Accountancy degree allows students to qualify for the CPA exam. Graduate students gain expertise in advanced accounting topics with three possible specializations: financial accounting and auditing, management accounting and controllership, and taxation. Kansas State University also strives to enhance the employability of its students through features such as Professional Advantage, a four-year program including lectures, networking events, career development workshops and job placement events. Students can choose to participate in the Business Executive Mentor Program, in a Study Abroad experience or in one of the many internships recruiting over 70 accounting students every year. Student organizations, business competitions and lecture series complete the diverse learning experience at Kansas State University. The School of Business at the Lawrence-based University of Kansas is ranked 81st in the country by U.S. News. Undergraduate students at the University of Kansas can pursue a BSB in accounting which blends business and accounting in a well-rounded curriculum. The program culminates in a capstone Business Policy and Strategy course where students are invited to apply their skills towards independent projects. Prospective CPAs can opt for the AACSB-accredited Master of Accounting program at the University of Kansas. The degree allows students to meet the 150 credit CPA requirement and offers four specialization tracks: advising and consulting services, assurance/auditing, corporate and tax. The highly relevant curriculum is supplemented by experiential learning through community service, professional development and social activities, as well as a student ambassador program. The University of Kansas opens bright perspectives to accounting students and boasts an excellent graduate placement rate of almost 88% in 2013, with a mean salary for Master of Accounting graduates of $49,384.